Made of heavy duty 16 ga. steel construction. Convenient sturdy work surface with back stop. 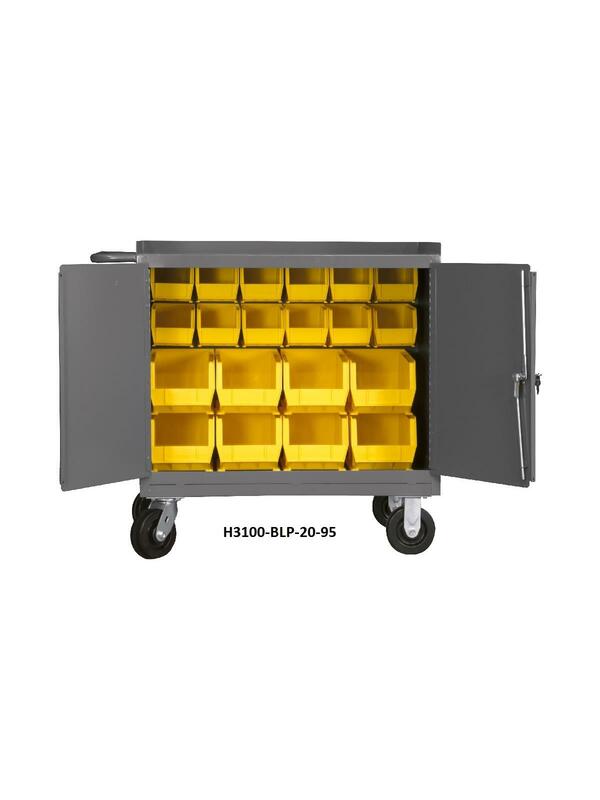 Tubular push handle allows for ease of mobility. Rolls smoothly on 6" x 2" phenolic casters (2) swivel and (2) rigid. 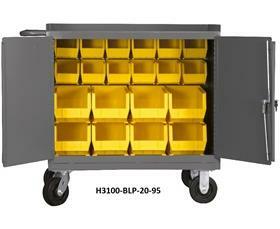 Back louvered panel accommodates Hook-On-Bins®. Doors lock securely with a 3 point locking handle and 4 keys. Durable, gray, textured powder coat finish. FOB Shipping Point.